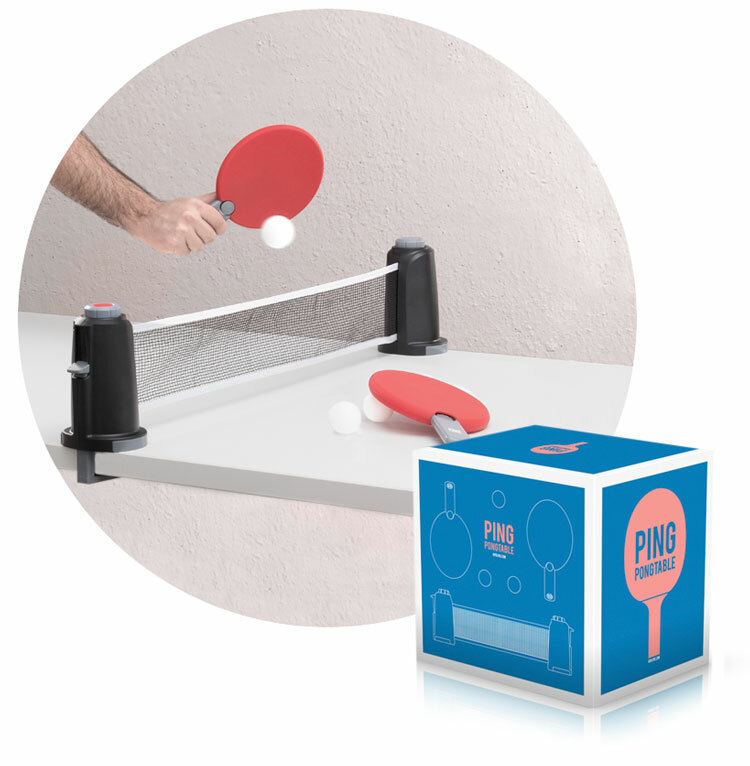 Portable ping pong game. Contains: net of variable length (max. 170 cm) with universal clamping system, two folding paddles and 3 white balls.